From intercom installation to gate repair in Brampton, choose our company. We have a long experience in all gate types and offer the full package of services. Want to repair a sliding gate operator? Need to install a new swing gate? Want to maintain the gate? Leave any service to our expert team. With equipped vans and qualified techs, our company guarantees prompt response and professional service. Every single time. No matter which gate service you need. When you seek a gate contractor in Brampton, Ontario, try out our company. All techs on our local team are qualified, insured, and well trained pros. 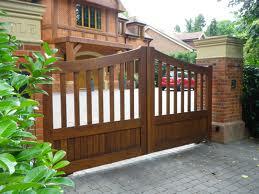 We fix, maintain, replace, and install gates – driveway or pedestrian. Whichever gate you own or plan to get, you can leave its service to us. 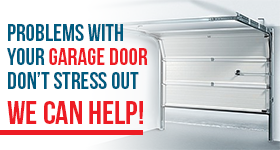 At Garage Door Repair Brampton, we won’t only fix your overhead door but also the overhead gate, the swing or sliding gate, the garden or pedestrian gate. There isn’t a gate we don’t service. Call us. Call us now if you urgently need gate opener repair. When it comes to opener problems, we respond as quickly as possible. If the electric gate is not closing or opening, we will troubleshoot and then fix it. We always check well the reasons for the gate acting up and provide the best solutions. If you want to replace the opener, we’ll help in a timely fashion. The time of our response will be prompt and our devotion will be also noticed when you need gate installation. Our pro can offer you a quote and many options among new gates. We install them all and are experts in such services too. We are also here to routinely check the gate and maintain it. This can save you from a lot of trouble down the road. Trust us to do quality work every time you call us for Brampton gate repair and installation services. Call us today if you need our help.